ALCHEMY from Angelwax, is a metal polish that has been formulated to clean, brighten and rejuvenate the metal on your vehicle. ALCHEMY will remove corrosion, tarnish and discolouration from stainless steel, chrome, aluminium, copper and brass leaving the surface beautifully restored. 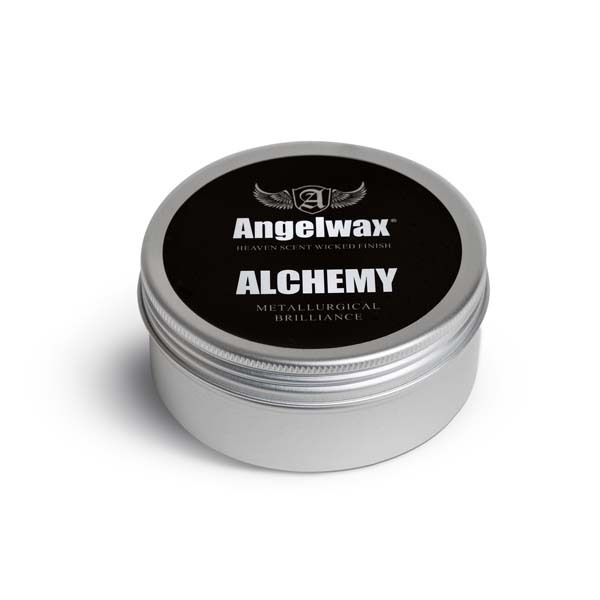 Directions: Using a suitable cloth, apply Angelwax ALCHEMY directly to the surface of the area to be treated and remove any contamination. Using a clean, dry microfibre cloth, buff the treated area to a polished finish.